A couple of weeks ago I posted on twitter about a special delivery I got that I couldn't wait to try out. So for this Thirsty Thursday (which I know it's been a couple weeks since our last one, whoops!) 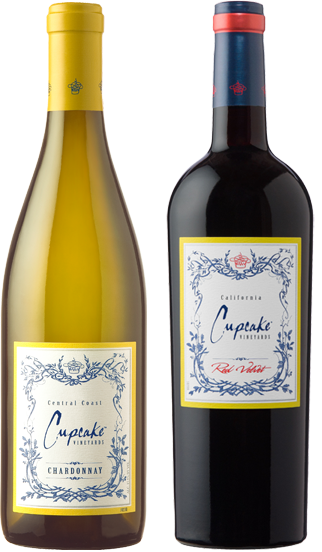 it's all about Cupcake Wine. Cupcake Vineyards wines were introduced nationally in 2008 from California’s Central Coast and represented a finely crafted, fruit-forward, indulgent and eminently approachable style of wine. The inaugural release included Chardonnay, Merlot and Cabernet Sauvignon. Since then, Adam has used his global wine making experience and relationships around the world to add seven international wines to the Cupcake lineup, including such renowned regions as Marlborough New Zealand; Mendoza Argentina; Italy’s Prosecco, Trentino and Asti regions; Barossa Valley, Australia; and Germany’s Mosel. 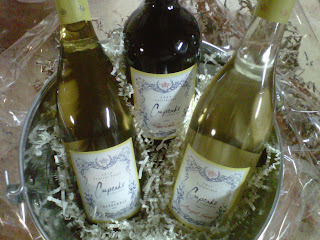 I was sent two bottles from Cupcake Wine, their Chardonnay and Red Velvet. I'm big on wine, more so Chardonnay then red. I'm no expert, I just know what I like and know what I don't like. In this case I have to say I was more of a fan with their Red Velvet wine, then the Chardonnay, which surprised even me. Both wines were very delightful and tasteful, not too strong in taste or overpowering. On the noise the Red Velvet smelled and had the hint of a red velvet cake/cupcake and that's probably what drew me to favor it more. When I first sipped on it I could taste a bit of mixed berries and a hint of chocolate. It's not too sweet and doesn't leave you with an oakey taste to it, which was great. It was very decadent and flavorful. This wine is a blend of Zinfandel, Merlot and Cabernet Sauvignon. It's best paired with foods such as sweet and spicy Hoisin steak, a barbecue bacon cheese burger or even dark chocolate fondue, but I would have this for a dessert, that's just me. What I also loved about this is that it costs around $12, which is very affordable. If you were serving this to your guest at a dinner party you'd leave them thinking that it was an expensive purchase. Now for the Chardonnay on the nose I smelled some what of a citrus smell and while taking my first sip there was a taste of apple with a hint of nutmeg and vanilla, which I thought worked out very nicely. It also has a sweet creamy taste which works out well, very "cupcake" like. Very flavorful as well and delicious. You can taste a bit of oak to it, but it's not too strong and over powerful. It's a very light wine. The Chardonnay is best served chilled and paired with foods such as crab cakes, seared Ahi tuna on waffle crackers or fresh-baked French bread and cheese. This too is very affordable priced at around $12. And for it being inexpensive it's worth giving it a shot. Disclosure: All opinions are my own. I received two bottles of Cupcake Wine at no cost for the purpose of this review. No other compensation was received. 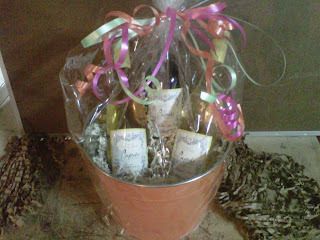 A big thank you to the PR Company for providing the giveaway prize. Thanks to the lovely PR firm, we're giving away a gift basket with not one, not two, but three bottles of wine to one lucky reader. You'll be getting the Chardonnay, Red Velvet and the not yet released Angel Food Wine, which I'm excited to try once it's out this Summer at the LCBO!